Stanford University researchers boosted production of a cough suppressant 18,000-fold by using brewer’s yeast and engineered genes from poppies and rats. Stanford University researchers unveiled this week a bioengineering process in which brewer's yeast, along with engineered genes from opium poppies and rats, is used to produce a non-narcotic cough suppressant with potential anticancer properties. Yeah, we didn't see that one coming, either. Published in the journal Proceedings of the National Academy of Sciences, the new research could be the next step, researchers say, toward a new bioengineering process that synthesizes critical plant-based medicines without having to cultivate the original plants. The Stanford team used genetic-engineering techniques to turn the yeast into a “living factory” for producing the drug noscapine, a substance that naturally occurs in opium poppies. By building an alternate, biosynthetic pathway for generating the drug, the new process sidesteps regulatory complications associated with cultivation of the opium poppy. In 2015, the same Stanford lab published details on a similar system for generating opioids from yeast. The bottom line, if all goes well, is that production of noscapine will become much simpler and more efficient, resulting in an expanded supply and lower prices. If the process can be applied to other medicines, it could become an important part of a new system for manufacturing certain drugs. The “recipe” for making noscapine out of yeast includes more than 30 enzymes from medicinal plants, microorganisms, and even mammals, Smolke told Seeker. The critical function of the modified rat gene, Smolke said, is that the brains of mammals have evolved to produce dopamine — a neurotransmitter — efficiently. “So we leveraged the processes by which mammals make dopamine to engineer our yeast to make dopamine through that process,” she said. Noscapine’s utility as a cough suppressant was discovered in 1930s, and the drug has been widely used since the 1960s. What's more, preclinical trials suggest noscapine has potential as a cancer drug with less toxicity to healthy cells than currently available chemotherapies. Initially, the bioengineered yeast created by Smolke’s group was able to generate limited amounts of noscapine in three or four days. 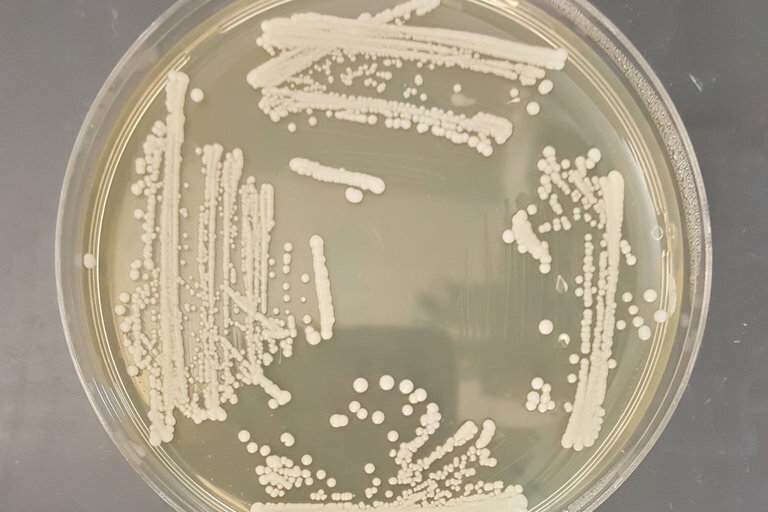 After tinkering with the recipe — modifying particular genes as well as the medium in which the yeast proliferates — the team was able to speed things up significantly. The result was an 18,000-fold improvement in noscapine output compared with what could be obtained by just inserting the plant and rat genes into yeast. 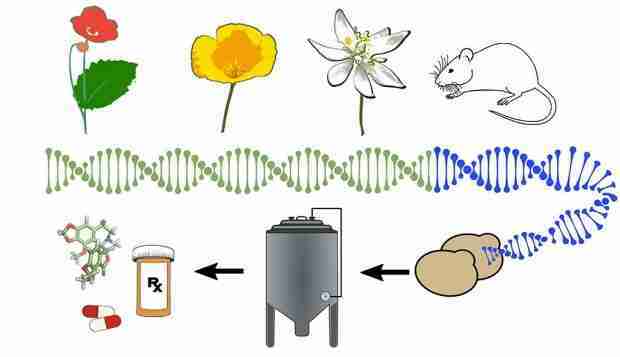 For those without a background in genetic engineering, the question might arise: So what does an anticancer, bioengineered, yeast-drug factory look like? It's not as space-age as it might seem. The Stanford team hopes eventually to achieve commercial-scale capacity, which will require another hundredfold improvement in efficiency. While similar laboratory bioreactors have been developed, the Stanford research will ideally contribute to a new and improved kind of “living factory.” Antheia Inc., a biotechnology company based in Menlo Park, California, is working to commercialize noscapine production. Smolke co-founded the company and is Antheia’s chief executive officer. The study was funded in part by the National Institutes of Health and Novartis Institutes for Biomedical Research.